We have been featuring the Top Outsourcing Companies list since 2007, however, we have not been able to update it for past couple of years. 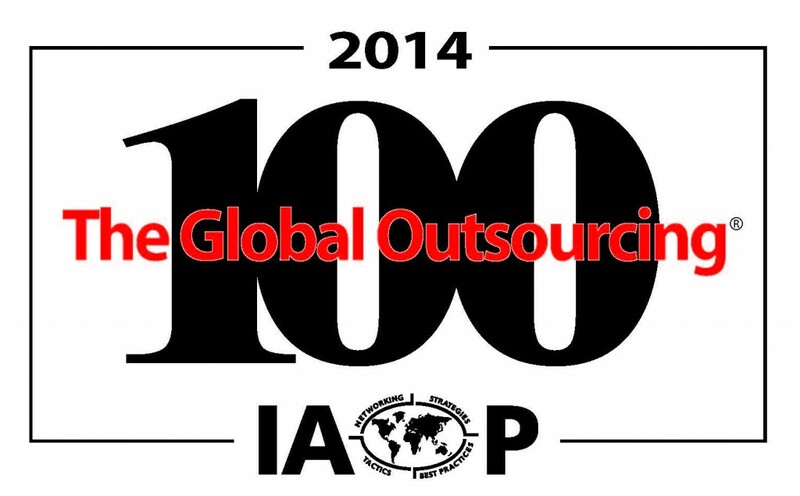 The IAOP (International Association of Outsourcing Professionals) has recently come out with “The Global Outsourcing 100” for 2014 which enlists the top outsourcing companies in the world. So we decided to update our list and bring you the most recent 2014 results. As we have been following this list for past 6-7 years, you will be surprised to know that Indian companies are slowly falling off the charts. Infact, back in 2007-8, TCS and Infosys ruled the roost, but that is not the case anymore. Infact, in the 2014 list, they do not even feature in list (Now, thats not possible..but not sure why they are not in the list anymore). Most Indian companies have fallen from the ranks. India is biggest outsourcing destination in the world, and every company in top 10 have a presence in India – However, what is interesting to see would be how many India-bred companies are actually in the list. Infosys Technologies, the iconic software company ranks 2nd in the list of World’s best Outsourcing companies. The top position is taken by Accenture. In the top 10 rankings there are 2 other India-bred companies – Wipro (4th) and TCS (7th). Infosys has made big strides in this year’s list as last year it was ranked 9th, in the IAOP list, while TCS & Wipro were ranked 4th & 5th respectively. NOTE: More Leader Group companies are represented on the final top 100 list due to multiple scoring ties. I’m interested in Voice / Non Voice process work that needs to be outsourced from any country…I’m alright for start of 5 – 10 Seats, to start with..
We are from Hyderabad, A.P. we have 20 seaters setup in heart of city. we are searching for most genuine projects ( Offline or Online projects) or any other outsourcing projects. If you have or you know any this type of projects pl. help and inform throgh mail or call. TATA CONSULTING ENGINEERS IS ALSO WORKING SINCE LAST 50 YRS. :) ka cute..ka familiar ko sa mga name sa company..mostly naa sa India..ehhe. Pastilan.. Ika pila man ang QF ani? Asa man kuno ang ato company dri? hmmmp..
wow..IGT is on the list..congrats! ganun talaga! one of the best companies to work nga ulet eh! 4 times in a row na! Could you pls help me out if you know any good companies who outsource jobs for DATA works. I need your help. I have ready office setup in bangalore. Let us help each other in sharing these informations for an assurance that we grow by helping eachother views. These companies should all be boycotted by the unemployed in America along with WalMart, Gildan International and any others. Can anyone give me a list of companies that want to outsource their bulk content writing. I have a set up and want to get bulk projects in content writing – but not KPO. I think you should mention SG Analytics as well. You should have a list specific to IT outsourcing or software outsourcing. This business is growing up so fast. Not Sure if Mera Networks is an Indian Company. Talking about ISS, my company..it has been doing really good over the last few years and with acquisition of a Security company in the next few days, we would be right at the top in Indian market as well. Also adding to the basket are our Staff & Payroll Outsourcing services. So this list is of the top ten companies that are outsourced to, not the top 100 companies that outsource work?